The Reverend Moon devoted his entire life to building bridges and promoting unity in all areas of human endeavor. 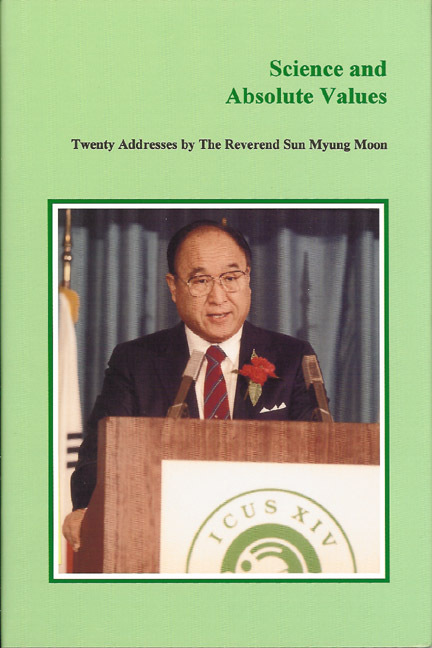 In the early 1960s, when the Unification Church had few financial resources, the Reverend Moon initiated significant interfaith activities. In 1968, he founded the International Cultural Foundation to support scholarly activities and exchanges. Under its auspices, from 1972-2000, the International Conference on the Unity of the Sciences (ICUS) brought together eminent scholars and scientists from across disciplines, nations, and cultures in search of absolute values and unity among the sciences. Activities such as ICUS were established and supported by the Reverend Moon because of his deep conviction that scholars and scientists have the greatest potential for finding solutions to the world's most pressing problems. From a religious point of view, expressed his belief that God would lead humankind to the solution of its problems through His inspiration to its most dedicated thinkers. ICUS sought to maintain the highest standards of academic freedom in its discussions and debates. Its organizers recognized that the participants may have significant intellectual differences with each other and with the sponsors–especially on the question of the existence of absolute values. It is exactly because of these differences that the need for ICUS exists, to create and nurture an environment of mutual respect and intellectual rigor, in which these and other differences may be examined, debated, and perhaps narrowed. Over the more than twenty years of the existence of ICUS, its founder, the Reverend Moon, spoke on a variety of topics, having the common theme of values in science. Although his speeches were always warmly received, their relevance to the conference discussions themselves was often not understood at the time. This collection of twenty of his conference speeches reveals an amazing consistency and timeless relevance to his messages.